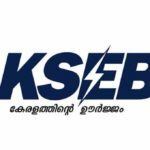 The Central Weather Surveillance Center (KSEB) has decided to observe the water level and water level in the suburbs of KSEB under the provision of heavy rainfall in Kerala and Red Alert in certain districts. These are the steps taken by the Chief Secretary and the Disaster Management Authority. As the water level in Tamil Nadu’s reserved dams has reached an almost complete stage, the Sholayar Dam shutters and two slim gates of the dam are opened with the consent of the district administrators. Even if the dam of the Idamalayar dam is 160 meters below, the gates of the dam are still open. In Wayanad district and Kozhikode district, the yard is likely to be pumped out of the Banasurasagar Dam from Kuttiyadi Dam as required by the Yellow Alert. The construction activities in Sabarimala will also be taken into consideration if the water from the pump and khaki dams can be discharged. In Idukki district, the Red Alert too has been declared the ultimate rain, so the water level in Idukki has decided to leave the water level only if it is 15 feet less than 2403 feet. Prior to dumping the dams open, the District Administrators and Disaster Management Authorities have been informed to the officials that the water should be allowed to be emptied out only by obtaining the prior permission. Because of the heavy ocean and the drainage of the dam, the control rooms have been decided to coordinate related activities and to increase the water level flowing out of the existing open boxes, Ponmudi and Kundala dams. The Board has also appointed chief engineer dam safiti to carry out this with proper monitoring.